Research & Education Association, 9780878914203, 496pp. The material in this book was prepared for electrical training courses. It is a practical manual that enables even the beginner to grasp the various topics quickly and thoroughly. 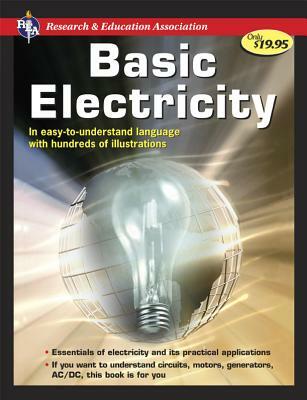 The book is one of a kind in that it teaches the concepts of basic electricity in a way that's clear, to-the-point, and very easy to understand. It forms an excellent foundation for those who wish to proceed from the basics to more advanced topics. Numerous illustrations are included to simplify learning both theories and their applications. Direct-current and alternating-current devices and circuits are explained in detail. Magnetism, as well as motors and generators are described to give the reader a through understanding of them. The book is an excellent resource for the layperson as well as licensed electricians.